Introducing new rail transit service is an important component of the Eastern Corridor’s vision of an integrated, multi-modal transportation network. 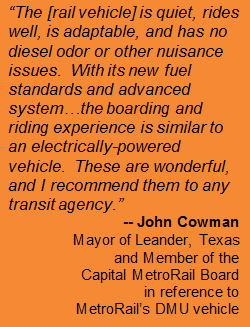 Rail provides a comfortable, environmentally-friendly option for those who cannot or prefer not to drive. The rail vehicle (or train) is probably the most tangible element associated with a rail system. 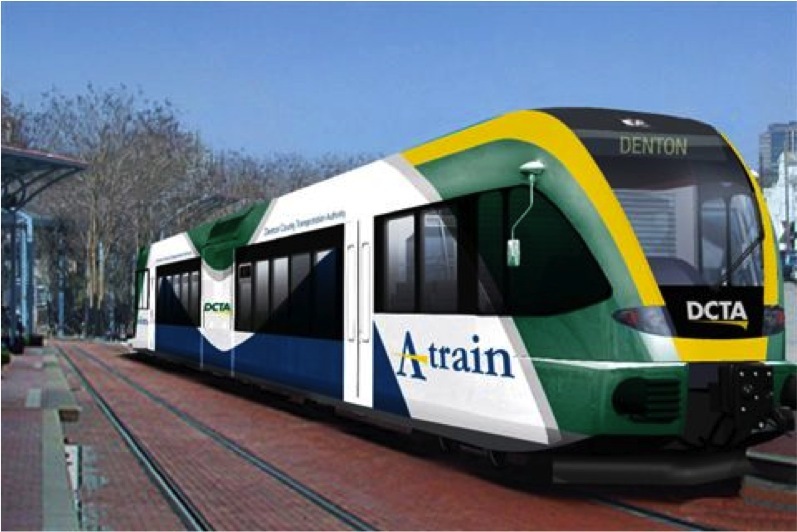 While the specific vehicles remain under consideration, the Eastern Corridor Program Partners have determined that trains powered by modern, low-noise, low-emission diesel-multiple unit (DMU) technology best match the service characteristics and needs of the Oasis rail corridor and the communities the line would serve, and have recommended using them on the line. 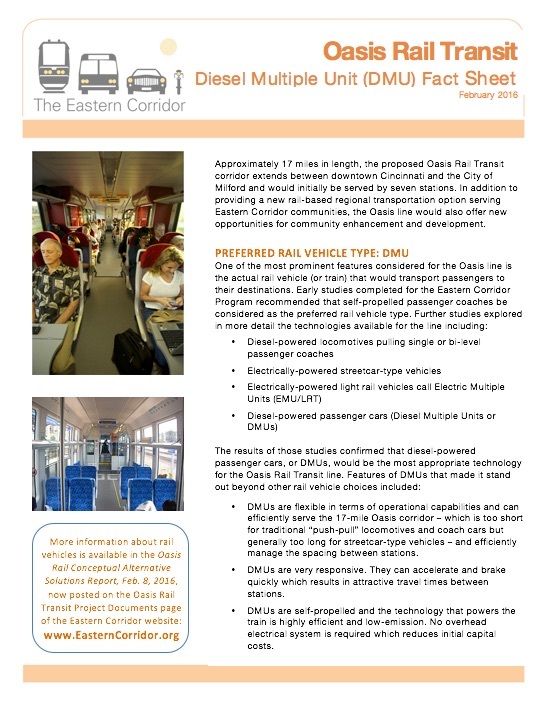 Diesel Multiple Unit (DMU) Fact Sheet. Click to view. Unlike heavier locomotives pulling passenger coaches, DMU vehicles provide their own power through highly-efficient, low-emission engines within the vehicles. No overhead electrical system or electrified tracks are required, reducing initial capital costs and facilitating joint-use with freight operations on those segments where freight still operates and during defined operating windows. 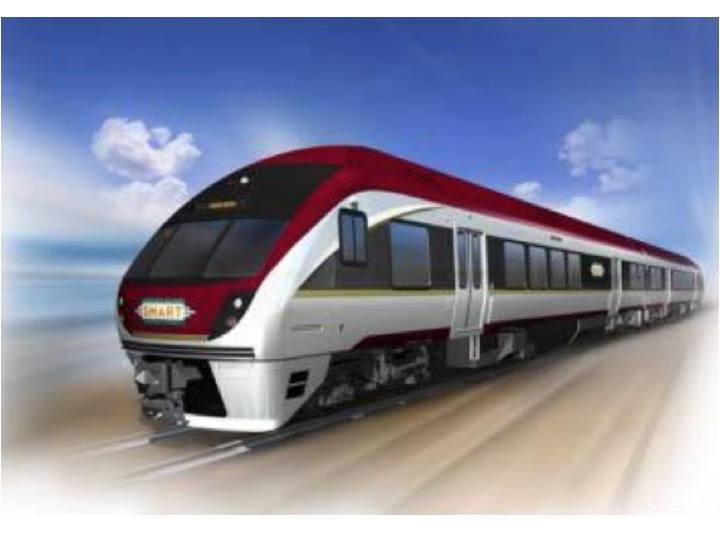 These vehicles offer fuel efficiency, fast acceleration, simplified maintenance, and reduced staffing over conventional commuter rail services – just a single vehicle operator is required. 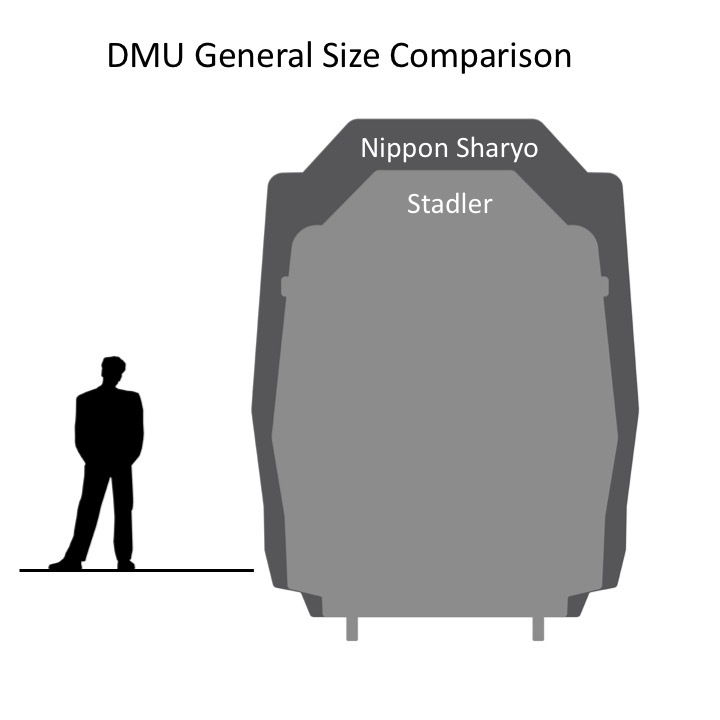 DMU vehicles are quieter than conventional locomotive-powered passenger trains or freight trains, which minimizes noise impacts on properties adjacent to the rail corridor. Moreover, their design and construction act to reduce noise levels for passengers as well. Passengers enjoy easy boarding and comfortable seating on DMU vehciles. The rail cars are fully ADA-compliant and can feature overhead storage, tie-downs for bicycles and other amenities such as onboard Wi-Fi. The sleek, modern design and expansive windows offered by DMU vehicles provide an appealing transportation option that links the communities they serve. River Line (New Jersey Transit): Service between Camden and Trenton, New Jersey. DMU trains typically consist of one to three units per train set. Made by Stadler, the rail vehicle above is a FRA Alternatively Compliant train. As proposed, portions of the Oasis Rail Transit line could share tracks already in place and in use by freight trains. The Federal Rail Administration (FRA) requires that trains sharing tracks with freight operations either be FRA Compliant or FRA Alternatively Compliant vehicles. Made by Nippon Sharyo, the rail vehicle above is FRA Compliant. 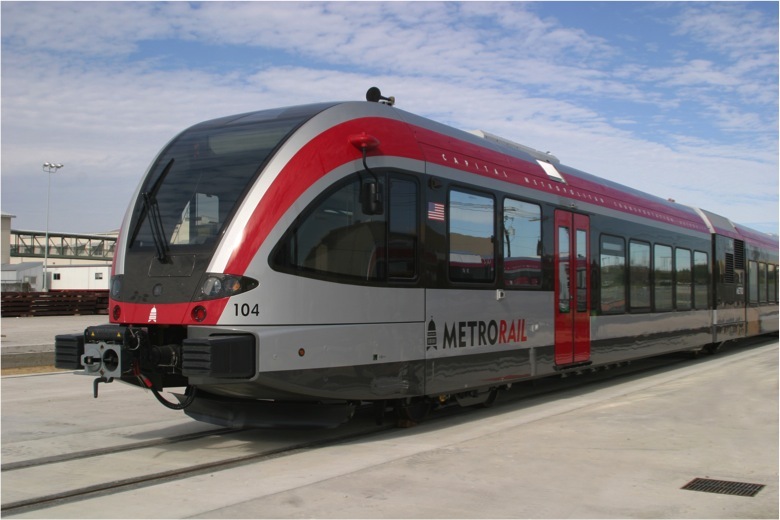 Although both of these vehicle types address the needs of the Oasis line and offer the features desired, the Eastern Corridor Program Partners and the public have identified the lighter-weight, FRA Alternatively Compliant DMU as the preferred rail vehicle type for the Oasis Rail Transit line. FRA Alternatively Compliant DMUs (represented by the Stadler vehicle above) are somewhat smaller and lighter than FRA Compliant DMUs (represented by the Nippon Sharyo vehicle above).